As a figurative sculptor, my subject has always been the human body. The human body fascinates me – how beautiful it could be, what incredible feats it can achieve, how hard and far it can be pushed, but also how ugly, fragile and weak it can be. As a young boy I was diagnosed with an advanced stage lymphoblastic lymphoma – a relatively rare and aggressive form of non-Hodgkin lymphoma. After a little more than two and a half years of chemotherapy, and some extremely tough and life changing times, I was cured of cancer. This life event had a profound influence on me. It moulded my views on life and death, but also cemented my afore mentioned fascination with the human body. 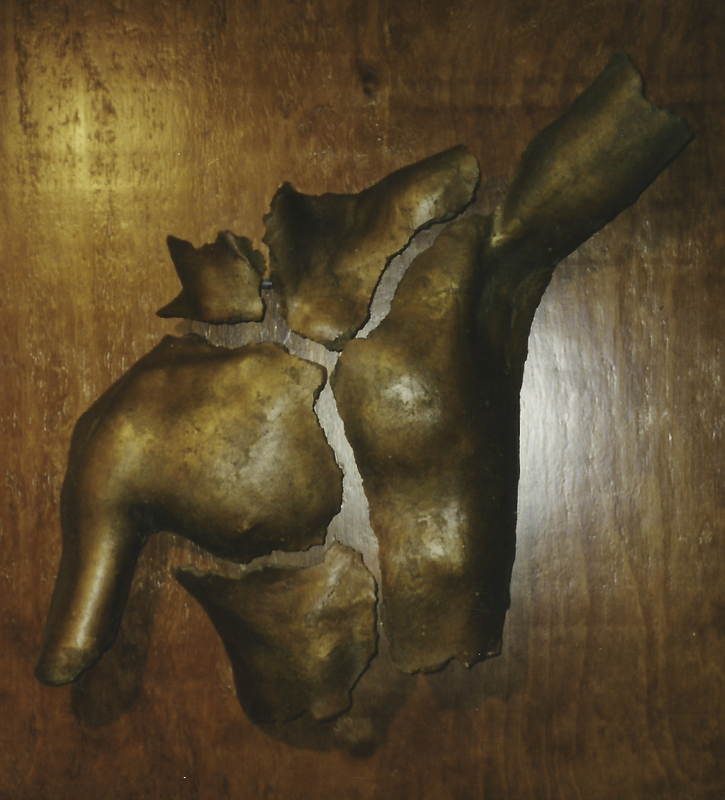 Many times, during my sculpture career, I have tried to capture, or represent this fascination I have with the human body – and specifically the body’s apparent dichotomies – such as beauty and ugliness, strength and weakness, healthy and sick, whole and broken, and developing and dying. The sculpting of fragmented figures have allowed me on many occasions – and I am sure many more will follow – to represent some of these dichotomies. Here is a picture of one of my first fragmented sculptures I made in 1999. I used myself as the model – at that stage a strong, healthy and developing young man – but also a man who has experienced and witnessed first-hand the fact that my body – or any body for that matter – can be destroyed, or broken very quickly and very effectively.